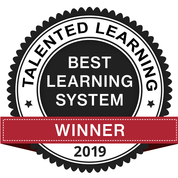 CrossKnowledge Learning Suite was recently awarded as one of the top Corporate Extended Enterprise System Award in The 2019 Talented Learning Awards! by Talented Learning, an independent research and consulting firm devoted to helping organizations of all sizes choose and use LMS solutions and related technologies for their unique business needs. 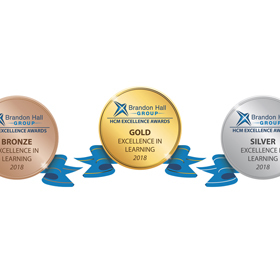 “We are delighted to receive recognition from Talented Learning which highlights how effective CrossKnowledge Learning Suite is as a corporate extended enterprise platform. The freedom to deeply brand the learning experience and to openly serve very large user communities are two particular strengths. The flexibility of CrossKnowledge Learning Suite also is very well suited to meeting the workplace learning needs of a very wide range of organizations and industry sectors.” said Danish Khan, Product Marketing Manager, CrossKnowledge. “CrossKnowledge is unique in the marketplace because it offers a powerful blend of learning technology, experience design and content expertise. CrossKnowledge is part of the 200-plus-year-old publishing giant, Wiley. This means its solutions leverage Wiley’s broad range of information resources, including content from the world’s most renowned professors and subject matter experts.” said John Leh. More than 750 learning system solutions were evaluated for this award. This is CrossKnowledge Learning Suite’s first award under Talented Learning’s new awards format. Talented Learning, LLC is an independent research and consulting firm devoted to helping organizations of all sizes choose and use LMS solutions and related technologies for their unique business needs. Founded early in 2014 by elearning industry veterans John Leh and Joelle Girton, we’re on a mission to advance awareness and adoption of learning technology that adds business value – primarily the for extended enterprise.